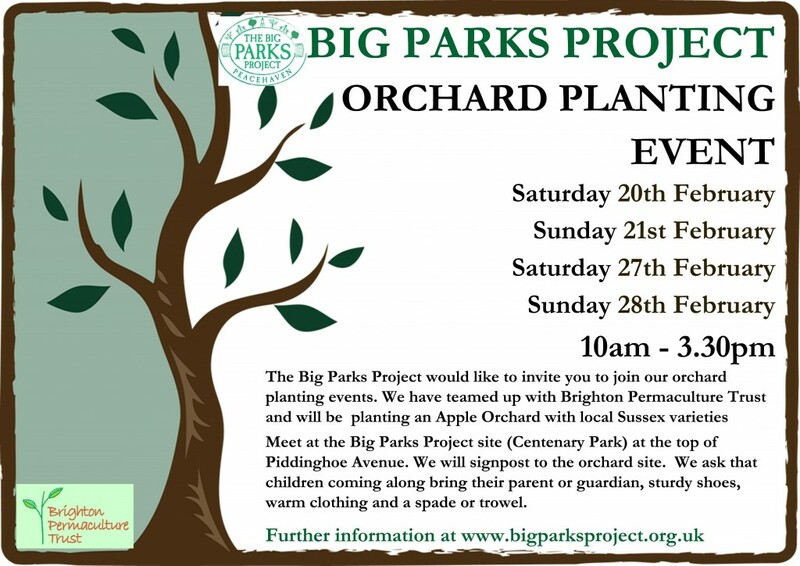 We will be starting work planting a 100-apple tree community orchard later this month with Brighton Permaculture Trust. Last winter, we planted a shelter belt containing over 2000 trees and shrubs of 33 species.These included fast-growing species such as Italian alder and Monterey pine; native trees like oak and beech; nut-bearing species such as walnut and chestnut; and fruiting species like cherry plum and crab apple.This winter, we will be planting 60 apple trees, focusing on tougher varieties, since the site is quite exposed. Over the next few years, the orchard will be completed with one or two examples of each of the Sussex apple varieties. This is a great chance for fun fresh air and helping to build a lasting legacy in the community. We hope to see you there. Wrap up warm and don’t forget your wellies!